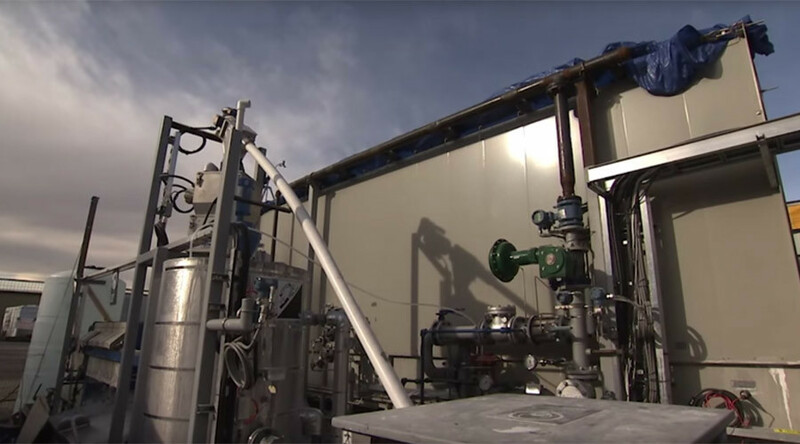 A Canadian company has big plans for the future of fuel, and it involves capturing carbon dioxide from the air. The start-up, backed by Bill Gates, has opened a pilot plant to test its ambitious plans, which it believes will help conquer climate change. Carbon Engineering's first plant, located in Squamish, Vancouver, was unveiled on Friday. The $9 million plant has already captured 10 tons of CO2, according to AFP. “We must do something about the rising levels of carbon dioxide in our atmosphere. We can and must transition to sustainable sources of low carbon energy,” Carbon Engineering founder David Keith said in a video released by the company. The environmentally-friendly process involves taking in air through giant fans and filtering out the carbon dioxide. The CO2 then goes through a series of chemical processes, ending in pellet form. When heated to between 800 and 900 degrees Celsius, those pellets will release pure carbon for use as fuel. Until they are needed, the pellets can be stored underground. Carbon Engineering's chief executive, Adrian Corless, said the process is attractive because it deals “with emissions from sources you just can't otherwise capture.” For instance, while current methods capture CO2 that pours out of smokestacks, the Carbon Engineering process deals with everyday carbon emissions from buildings, transportation and agriculture. The company admits that trees do the same thing, but that planting enough trees in the numbers needed would require "diverting vast amounts of agriculturally productive land.” However, air capture plants can be installed on land that isn't worth cultivating. "It's now possible to take CO2 out of the atmosphere, and use it as a feed stock, with hydrogen, to produce net zero emission fuels,” he said, adding that the benefit is that the synthesized fuels can be tailor-made for use in existing systems, such as petrol pumps, cars and aircraft. The company, founded by Harvard University climate scientist David Keith in 2009, plans to use the data from the pilot plant to design a $200 million commercial plant by 2017. That plant is expected to extract the amount of carbon dioxide per day that is the equivalent of taking 100 cars off the road every year. The carbon dioxide will then be used to produce 200 to 400 liters of gasoline or diesel per day, according to CBC News. Carbon Engineering is being backed by private investors including multibillionaire Bill Gates.